The Sargent 10 Line locksets are tough. These 10 Line locksets endure more than two times the A156.2 Grade 1 standard for abusive locked lever torque without allowing entry. Also, the Sargent 10 Line trim is designed to conform to all national and state fire and handicapped requirements. 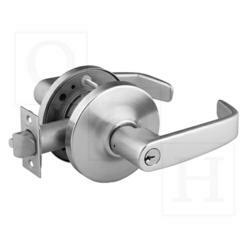 Quality Door & Hardware is proud to offer the Sargent 10 Line Cylindrical Locks as one of its featured product lines for January 2013 and these fine Sargent products can be found on our e-commerce site at: http://www.QualityDoor.com.